The e-book is available today and the print book should be out by the end of the week. So excited to have this one out in the world. Cali is a sassy teenage witch who has so much personality, she was a joy to work with on this story. I hope readers like her as much as I do. One chaotic week in October, former friends, a guardian angel, and a secret prophecy cause turmoil in the life of a teen-age witch-in-training. Cali French, a high school senior, is cut out of her inner circle when she refuses to participate in a spell her friends want to cast. 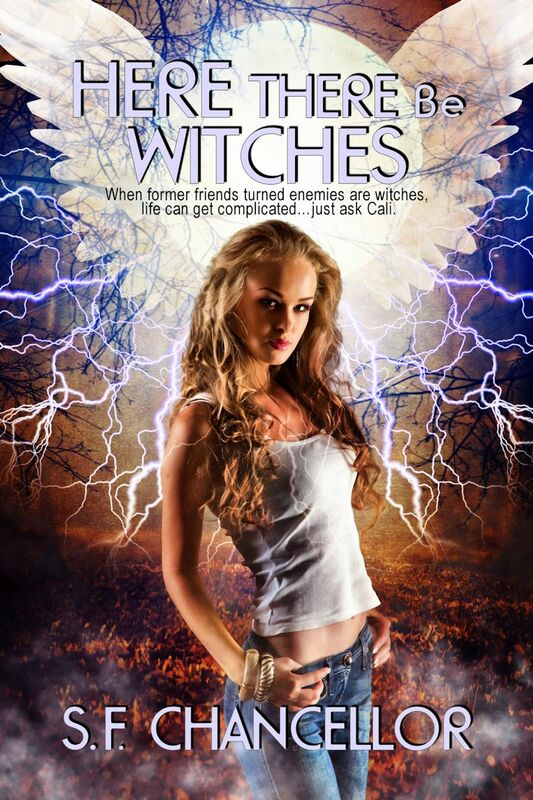 Cali fears the dark magic and the unknown consequences of the shortcut they want to take by casting the spell. Unbeknownst to her, Cali is the subject of an important prophecy. Her former pals have discovered this and have an even more sinister motive in forcing her to cooperate in their work than Cali can imagine. Her very life in peril, the young witch-in-training faces unknown dangers relying only on her unpolished skills and some assistance from a guardian angel and a gentle giant. Today’s word is a fun one. Its meaning is comparing horoscopes between two (or more) people to determine if they are likely to be compatible or have a good relationship. The word is SYNASTRY. Have you ever done that? I’ve done it in a few Chinese restaurants where they have the years on the paper placemat. We always check that out with the people we’re with to see if we’re supposed to even be at the same table. I’m a Rat. Next time you’re in the mood, research your animal and see if we’d be compatible. Check it out here– Seems like Rats make good lawyers. Who knew? LOL! My son graduated from high school on Monday and that was wonderful. My other son is in the US for two weeks and even though I won’t get to see him until Monday, the 11th, just knowing he’s on the same side of the Atlantic Ocean as me makes me happy. The kid that graduated made a mad dash down to Orlando the day after the ceremony to see Bon Iver in concert. His first trip with just him and a buddy and it went very well. Tomorrow, we have family both from my husband’s side and my own extended family from north Alabama as well as friends descending on our house for a pool party and BBQ in honor of the graduate. Sadly, his brother won’t be able to make it. I hate that he’s not going to get to see some of his family he hasn’t seen in a long time but he’s spending one week of his time in the US at his future in-laws’ house.